Ukonom Creek is a cold, clear creek that feeds the Klamath River, and was named after a Karok chief. 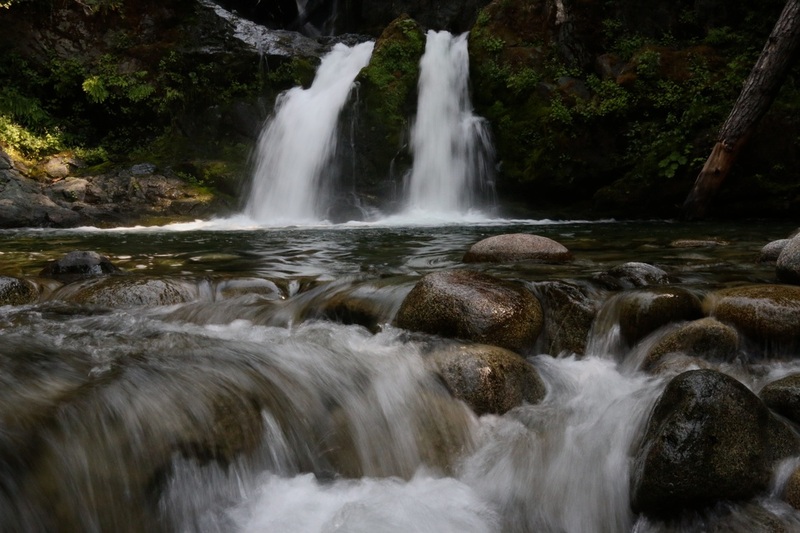 It’s also known for a pretty twin pair of twenty-five foot falls that are located about thirty miles south of Happy Camp and accessible only by boat. Several river rafting tour guides offer excursions, or you can check with a ranger or your local lodge owner for alternative ways to get there. Directions: From 1-5, take exit 776 toward Yreka/Montague. Take CA-96 W/State Hwy 96 W/Klamath River Hwy to Forest Service Rd 15N17.